A droopy eyelid is hard to diagnose as it happens gradually over time and ‘creeps up’ on you. In this blog I’ll discuss ptosis (droopy eyelids) of the eyelids, how you can determine them and what cosmetic surgery procedures are effective to correct them. Upper eyelid ptosis (eyelid droop) is a condition that causes the upper eyelid to appear droopy, giving a person a sleepy-eye appearance. With this condition, the upper eyelid is lower than it should be (it either covers part of the pupil or is very close to covering the pupil). Ptosis is present when the margin of the eyelid (the part that has the lashes) is too low. A droopy eyelid can be cosmetically displeasing and may also reduce your field of vision. There are various causes for this condition, and most can be corrected with the appropriate procedure. A detached eyelid muscle (following chronic use of contact lenses, repeated eyelid allergies, trauma or surgery) or a congenital droopy eyelid (which means you were born with it) may be present at any age. Drooping eyelids in the older population is very common and generally occurs because the muscle responsible for opening the eyelid (levator muscle) and its tendon (levator aponeurosis) stretch and thin with time and slip from their natural insertion positions. Generally with ptosis, the muscle itself is very healthy and just needs to be reinserted to the appropriate position with a simple procedure. In rare cases, a droopy eyelid may be due to certain neurological or muscular conditions that can lead to other – sometimes life threatening – complications. Thankfully, this is rare. Once the cause has been established, the droopy eyelid can be treated with either medication or more commonly, surgery. Excess skin (dermatochalasis) alone can mimic ptosis. The easiest way to tell the difference between ptosis and dermatochalasis is by lifting the excess skin off of the upper eyelid. If the actual lid margin itself is cutting across the black pupil portion of the eye, then you may have ptosis. If the eyelid is raised above the pupil all the time even with the excess skin on top of the lid, you just have simple dermatochalasis. If it is just excess skin, once it is removed with surgery, you should no longer notice the droopy appearance. The procedure for removing excess upper eyelid skin is called an upper blepharoplasty. It’s important to note that an upper blepharoplasty alone will not correct ptosis and in fact can make it worse. A droopy upper eyelid is best treated by tightening the levator muscle. Upper eyelid ptosis repair can be combined with upper eyelid blepharoplasty for maximum effect. It is best to see a FRACS Plastic Surgeon in order to determine if an eyelid problem is resulting from ptosis or excess skin. 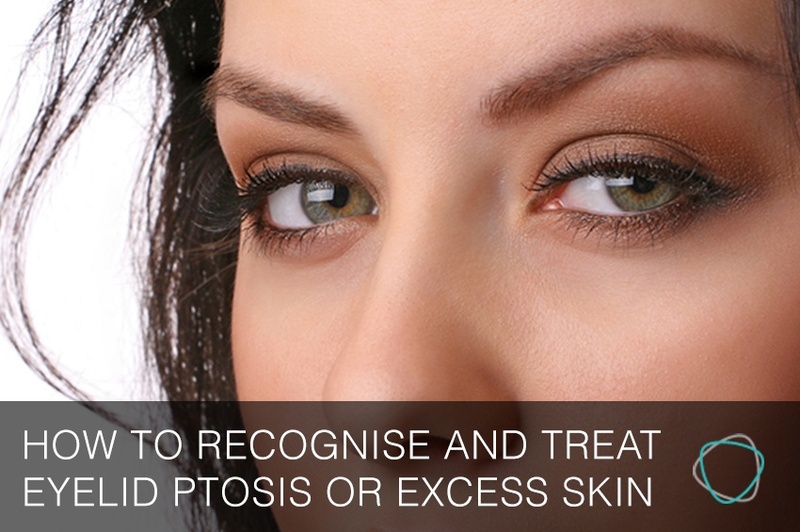 Ptosis surgery can be tricky, so it is important to make sure that if this is required, you consult with a surgeon who has extensive experience with this procedure. With modern techniques and recent technological advancements, eyelid surgery has become safe, effective and capable of delivering results that you always wanted with minimal pain, discomfort and downtime. 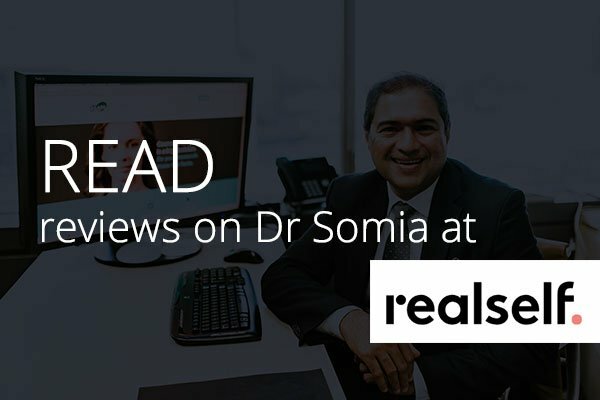 A skilled and capable plastic surgeon who uses modern techniques can offer you better and longer lasting results while the specialist anaesthetist ensures your safety and comfort in a modern hospital. As with any medical procedure, it is important to seek the advice of a skilled professional capable of addressing your concern. Since each person's anatomy and response to surgery and healing is different, an evaluation by a plastic surgeon can help you explore all options and determine the appropriate approach that addresses your concerns. 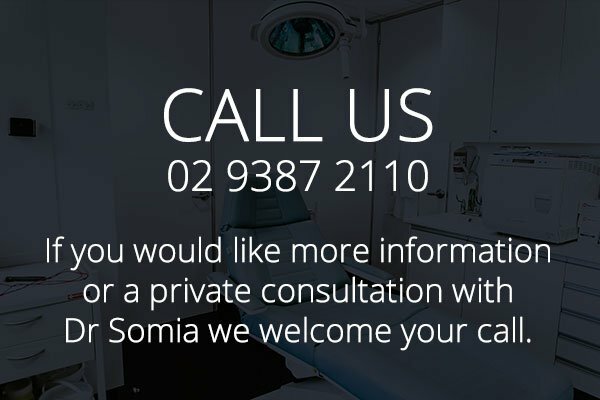 If you need additional information to assist you in deciding whether cosmetic surgery is the right option for you, send me a quick email at info@naveensomia.com.au and I will happily assist you. Want to receive articles like this one on helpful topics related to cosmetic surgery as well as how nutrition, skincare and exercise play a part in helping you look your best? Subscribe to my blog, The Cosmetic Surgery Insider, for free and receive the articles straight to your inbox. Rest assured your email address will remain confidential and you can unsubscribe at any time. Was this article helpful? I would love to hear your feedback, please let me know in the comment section below. Don’t forget to share this with your friends using the social media icons. 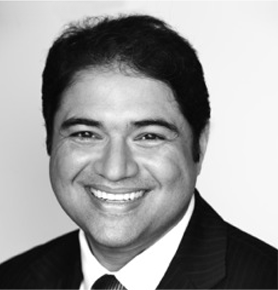 Dr. Naveen Somia is a Sydney Plastic Surgeon who listens to his patients, understands their problems and works alongside them to help achieve their aesthetic goals by applying his skills and years of experience in Plastic and Cosmetic Surgery. 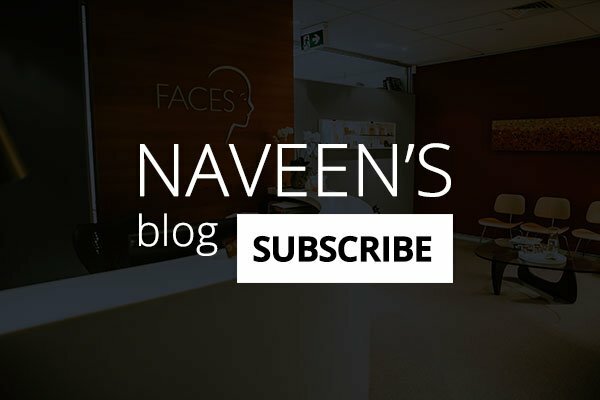 A published author on Plastic and Cosmetic Surgery, Naveen’s blog is aimed at helping you make the right choices and stay safe in your quest to look your personal best.